We have a 2 year old Jack and decided to get him some company. We now have Scout. No calendar, it just looked like it should be in one. Thanks for the comment. They are so beautiful! Are you actually making a calendar? That would be wonderful. Maybe this website would be interested in getting donations from it. 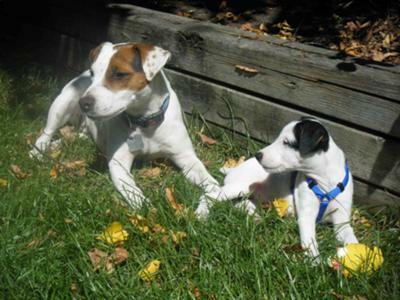 That would help to rescue more JRT's/mixes.